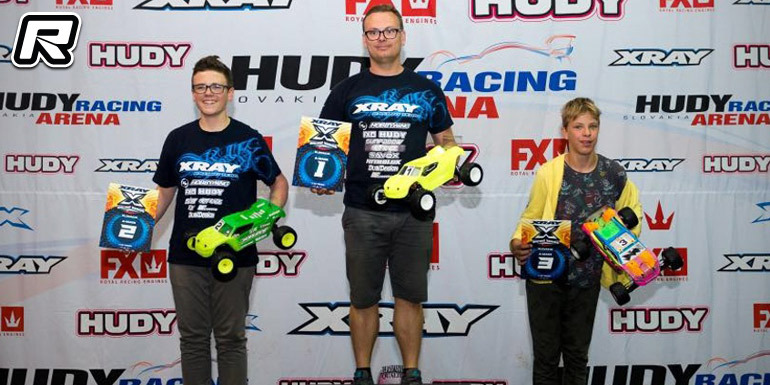 The opening round of the Xray Racing Series Slovakia was held at the Hudy Racing Arena in Trencin last weekend. 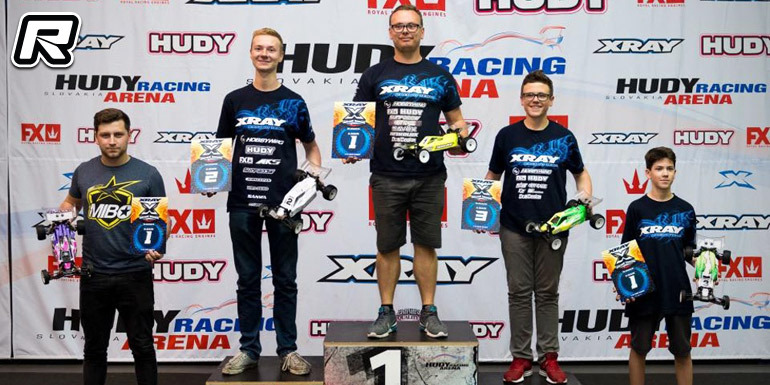 The event was held in several electric off-road and on-road classes and in 2WD Mod Buggy it was a pretty close affair between Martin Bayer and Kaja Novotny and eventually the overall TQ went to Martin. Kaja was starting from the 2 spot with Max Gotzl on the 3 spot on the grid. In the A-mains it was smooth sailing for Martin who brought home the win from Kaja 2nd – the latter having the pace for more but mishaps did prevent him from challenging Martin. Max Gotzl completed the podium in 3rd for an all-Xray 1-2-3 after some close fights with Matus Benetin and Bartek Kramza. In 4WD, Martin Bayer TQed round 1 and 3 to secure the overall TQ with the fastest run in the opening round. Kaja Novotny lined up in 2nd and Max Gotzl completed the top 3. The finals were pretty much the carbon copy of the qualifyers as Martin always pulled away while Kaja was behind him a few seconds back with Max again few secs behind. Overall it was Martin from Kaja and Max. In the Truck class, Martin Bayer was in his own league and easily took the overall TQ. 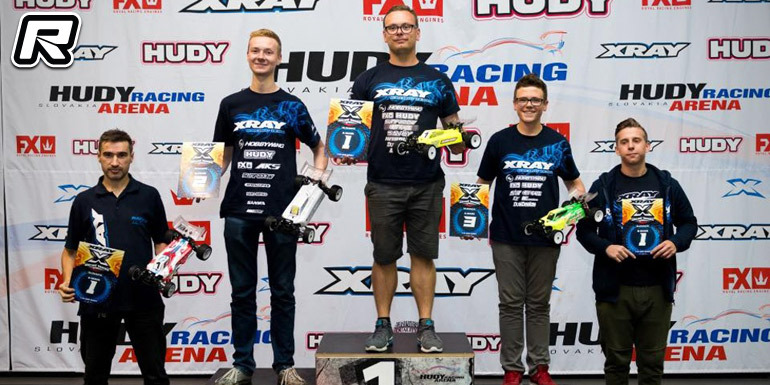 With tone-to-tone wins in A1 and A2 Bayer completed the hattrick with Max Gotzl on the runner-up spot and young Kuba Krus in 3rd for the third all-Xray podium in the off-road classes.